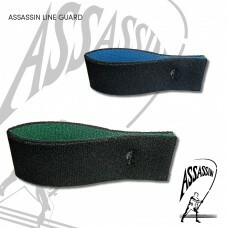 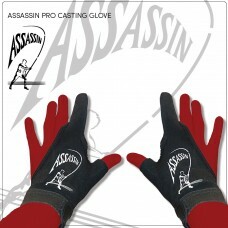 ASSASSIN LINE GUARD Assassin LINE GUARD is a simple method of preventing your line/ braid from unwin.. 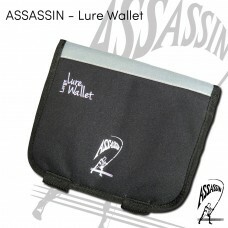 LURE WALLET Quick, convenient storage of lures in individual, robust plastic pockets • 2 x velc..
ASSASSIN PROFESSIONAL CASTING GLOVE REINFORCED ELASTIC BASE FAST DRYING NEOPREN PROTECTIVE FINGER GR..
QUICK SPIN Robust canvas material Extra padded back rest & straps for added comfort Light & ..
ASSASSIN REEL COVERS QUICK & SECURE DOUBLE ON/OFF VELCRO STRAP THICK, STRETCHY NEOPRENE COVER KE..
ASSASSIN ROD KNOB Tough, durable but comfortbable rubber material. 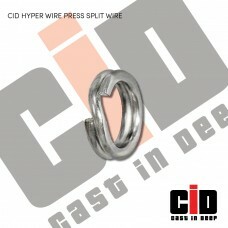 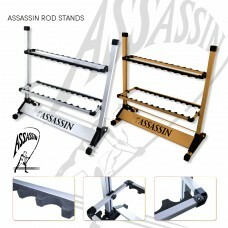 Fits to any number of rods. 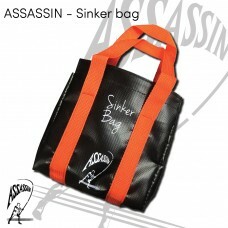 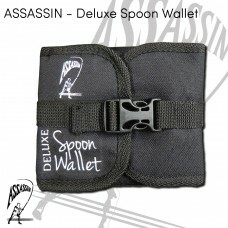 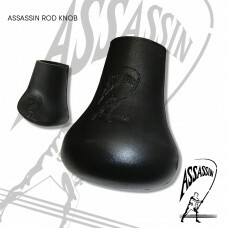 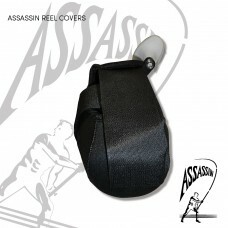 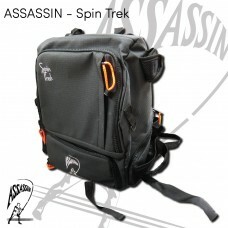 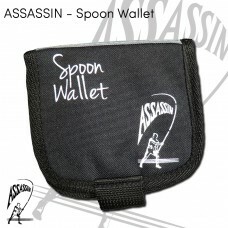 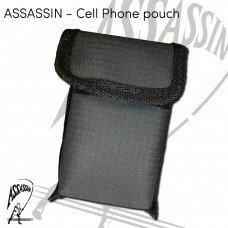 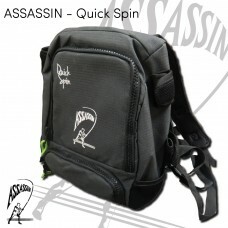 Great..
Assassin Rod Stands• Lightweight aluminium, with sturdy base• Holds up to 24 rods, securel..
SINKER BAG Quick, convenient storage of sinkers2 x velcro secured pockets Robust plasticised materia..
ASSASSIN BACKPACKS & POUCHES SPIN TREK • Robust canvas material • Lightweight • E..
SPOON WALLET Quick, convenient storage of rigged spoons in individual elasticised compartments Space..
DELUX SPOON WALLET Quick, convenient storage of rigged spoons in 22 individual elasticised compartme.. 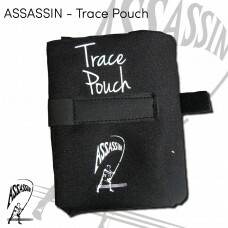 TRACE POUCH Quick, convenient storage of traces in individual plastic pockets Unrolls to provide 10 .. 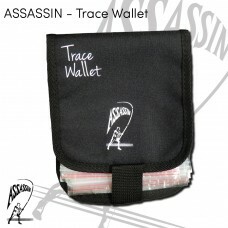 TRACE WALLET Quick, convenient storage of traces in individual ziplock plastic sleeves 2 x removable..
HYPER WIRE PRESS SPLIT RING Stainless, hyper recoil, super strength, extra durable, Japanese made sp..